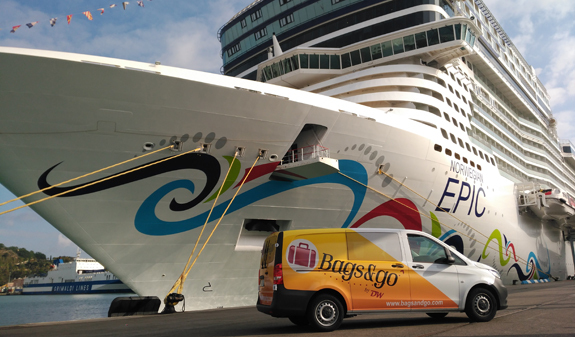 If you have a few hours to spare before your flight or cruise departs, or you don't want the hassle of carrying your luggage around with you, Bags&Go will take it straight to the airport from the cruise terminal when you disembark or will transfer your luggage from the airport to your cruise terminal on the day you set sail. 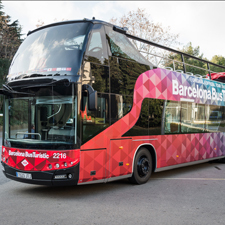 Your cruise arrives early in Barcelona and you have a whole day free to explore the city before your flight, but what can you do with your cases and packages?. 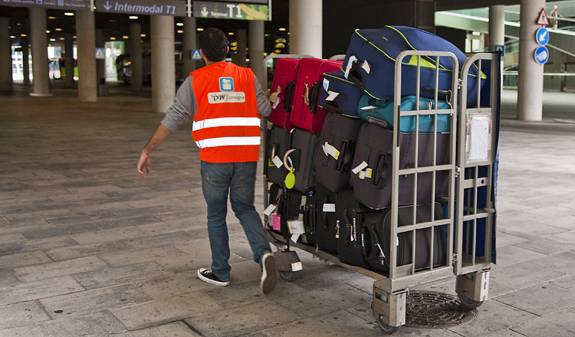 If you want to take a leisurely stroll around the city or have total peace of mind until your flight departs, we recommend you leave your luggage with Bags&go, a service specialising in handling your luggage, bags and packages from the time you arrive in the Port of Barcelona until your flight departs at Barcelona Airport. 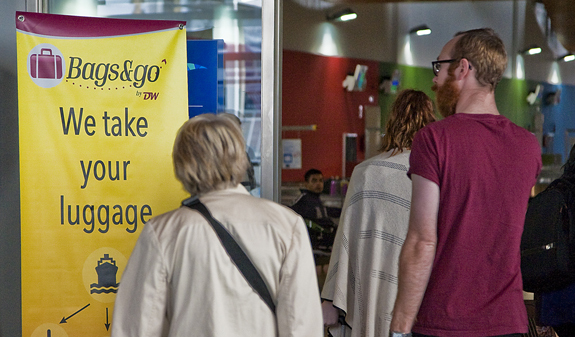 To book our service all you have to do is arrange a collection and pick-up time for your luggage. If you want to collect your luggage at the airport, we recommend you arrange a pick-up time at least two hours before your flight departs. 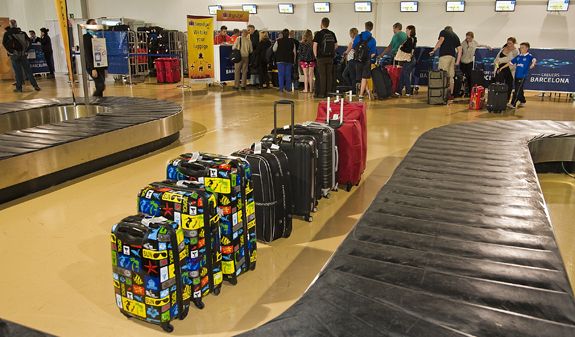 Once you have gone through customs, the Bags&go staff will be waiting for you at the designated pick-up point and will tell you how to find the bag drop at the airport. Make the most of your stay in the city and let the experts take care of your luggage and transport it in a secure and efficient way. 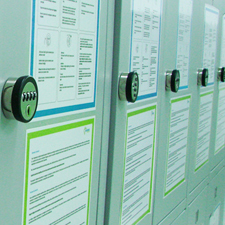 Pick-up, safekeeping and transfer of your personal belongings. Suitable packaging of the belongings in our care. Times: year-round service from 7am to 3pm. 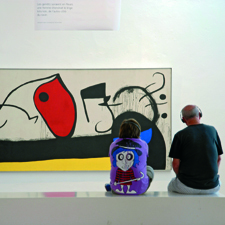 Languages: customer service in English, Catalan, Spanish and French. 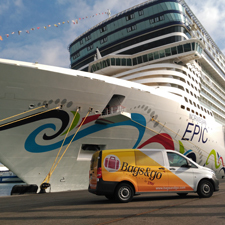 At the exit of the Port of Barcelona cruise disembarkation terminal. At terminal 1 or 2, Barcelona Airport, at the left luggage office on floor 0. Minimum of 2 suitcases required. 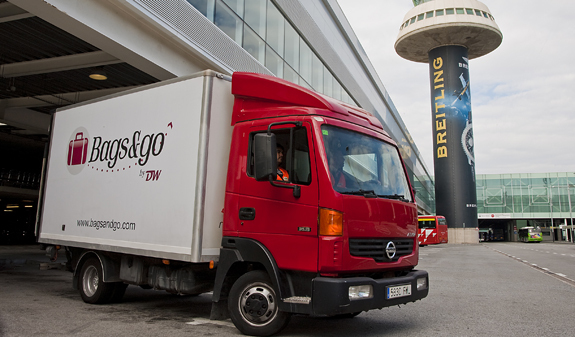 Bags&go is the only company authorised to provide this service at the Port of Barcelona. For further information you can contact the Bags&go head office at Moll de Sant Beltran, s/n, Terminal Acciona Transmediterránea during office hours, Monday to Friday, 10am-2pm and 4pm-8pm.